Supercharged steam turbine systems for industrial heat and power. 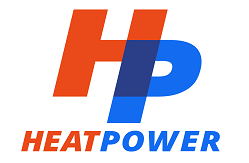 Heat Power has developed the Rankine Compression Gas turbine (RCG), a turbine capable of providing heat and power for industrial processes at a significantly reduced fuel cost and with minimum CO2 emissions. The RCG system is truly unique, as it is capable of providing both steam and power at fast response times. Its multi fuel capability can be applied to waste streams, enabling manufacturers to achieve higher resource utilisation, reduced cost of energy and green manufacturing.